What Smart Money Thinks about National Beverage Corp. (FIZZ)? Looking for high-potential stocks? Just follow the big players within the hedge fund industry. Why should you do so? Let’s take a brief look at what statistics have to say about hedge funds’ stock picking abilities to illustrate. The Standard and Poor’s 500 Index returned approximately 7.6% in the 12 months ending November 21, with more than 51% of the stocks in the index failing to beat the benchmark. Therefore, the odds that one will pin down a winner by randomly picking a stock are less than the odds in a fair coin-tossing game. Conversely, best performing hedge funds’ 30 preferred mid-cap stocks generated a return of 18% during the same 12-month period. Coincidence? It might happen to be so, but it is unlikely. Our research covering a 17-year period indicates that hedge funds’ stock picks generate superior risk-adjusted returns. That’s why we believe it is wise to check hedge fund activity before you invest your time or your savings on a stock like National Beverage Corp. (NASDAQ:FIZZ). National Beverage Corp. (NASDAQ:FIZZ)has seen an increase in enthusiasm from smart money of late. 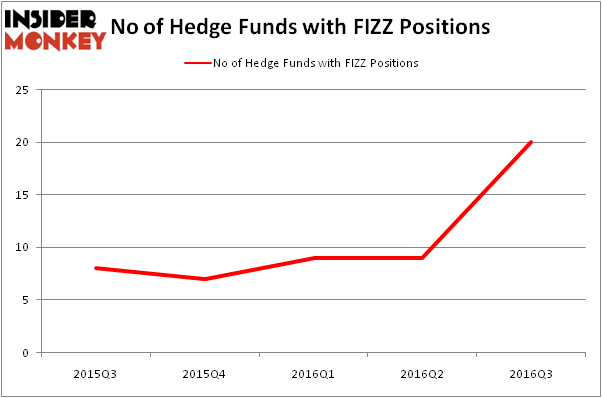 There were 9 hedge funds in our database with FIZZ holdings at the end of the previous quarter. At the end of this article we will also compare FIZZ to other stocks including Prestige Brands Holdings, Inc. (NYSE:PBH), Metals USA Holdings Corp (NYSE:MUSA), and Owens-Illinois Inc (NYSE:OI) to get a better sense of its popularity. Now, we’re going to take a look at the latest action encompassing National Beverage Corp. (NASDAQ:FIZZ). 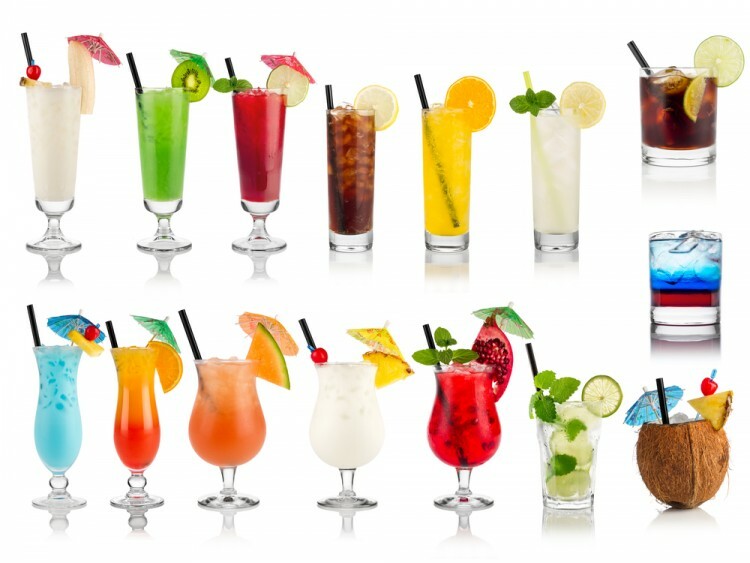 What have hedge funds been doing with National Beverage Corp. (NASDAQ:FIZZ)? Heading into the fourth quarter of 2016, a total of 20 of the hedge funds tracked by Insider Monkey were bullish on this stock, a change of 122% from one quarter earlier. By comparison, 7 hedge funds held shares or bullish call options in FIZZ heading into this year. So, let’s check out which hedge funds were among the top holders of the stock and which hedge funds were making big moves. According to publicly available hedge fund and institutional investor holdings data compiled by Insider Monkey, Jim Simons’ Renaissance Technologies holds the number one position in National Beverage Corp. (NASDAQ:FIZZ). Renaissance Technologies has a $39.2 million position in the stock, comprising 0.1% of its 13F portfolio. Coming in second is Peter Rathjens, Bruce Clarke and John Campbell’s Arrowstreet Capital, with a $20.6 million position; 0.1% of its 13F portfolio is allocated to the company. Other peers that are bullish include Alok Agrawal’s Bloom Tree Partners, and Carson Yost’s Yost Capital Management. We should note that Yost Capital Management is among our list of the 100 best performing hedge funds which is based on the performance of their 13F long positions in non-microcap stocks.